Sewer problems can cause severe damage to your home that is costly to repair. By understanding the most common causes of sewer problems in Elmhurst, IL , you can take necessary steps to avoid it. 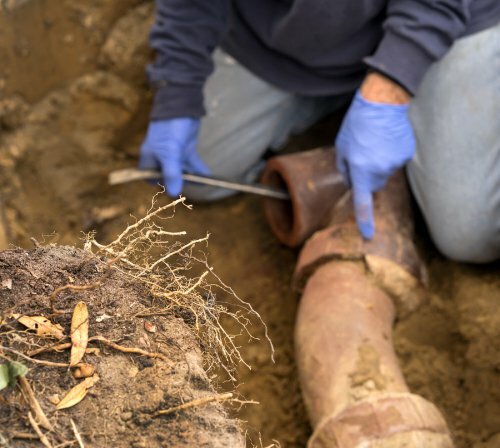 Protect your sewer line by avoiding these common causes of damage. One of the most common culprits when there is a sewer problem is a clog. These clogs usually start with things you’re doing in your home that are inadvertently damaging your drains. For instance, flushing anything except waste and toilet paper is destined to create a clog, including wet wipes that may claim to be flushable. Pouring grease down any drain is a recipe for disaster, as is putting too much down the garbage disposal at once. Roots growing into sewer lines is another common cause of line damage. Although you can’t change the position of trees that are already on your property, avoid planting anything new near your sewer line that has roots that could do damage. Sometimes, sewer lines are simply old and collapse. If you notice the symptoms of sewer line damage, like backed up drains, call a plumber for repairs before the damage gets worse. At McCoy Sewer & Plumbing, in addition to our extensive sewer repair services, we also provide general plumbing services to fit your needs. 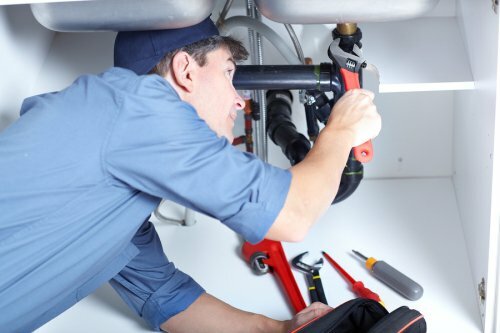 From kitchen sink repair to fixes for clogged pipes in Elmhurst, IL , choose us when you’re looking for residential plumbers or commercial plumbing contractors. We have been providing general plumbing services for residential and commercial properties, including maintenance, repair, and installation of new products, for over 20 years. No job is too large or small for our licensed, insured, and bonded team of plumbing experts. We repair clogged drains, fix bathroom and kitchen sinks, and solve garbage disposal problems. You can also call us for help thawing frozen pipes, for professional drain cleaning, or to repair or replace your water heater. Because we’re committed to your satisfaction and providing complete transparency, we offer free estimates up front instead of charging you simply to know what is wrong before any work begins. Choose us for competitive pricing, reliable service, and quality work. Our parts and services are backed by warranties to ensure the job gets done right, every time. Broken pipes in Elmhurst are never fun to deal with. They can result in costly repairs not only from the emergency plumber , but also from contractors repairing water damaged areas of the house. Drywall, carpeting, and personal possessions can become damaged if a broken pipe leads to a flood or an unseen leak. If you suspect you have a broken pipe, call for plumbing services right away. Continue reading for a few key clues that you may have a broken pipe. A clogged drain or toilet every once in a while is not always a big deal, but if your drains are constantly backing up—or you have an immovable clog—then you may be looking at broken pipes. Often, your pipes may have finally cracked due to improper installation, insufficient materials, or tree roots. Call your emergency plumber, and get to the bottom of your pipe problem before it becomes a bigger issue. If you had frozen pipes, and they thawed out, you may start to see mold growth in your ceiling, walls, or basement. If you see this, then you know for sure you have a broken pipe or moisture entering your home. Your plumber can root out the cause of the leaky pipes; you should also consider calling for mold removal before your home or your health suffers further damages. A lesser-known symptom of broken pipes is when a portion of your outside landscape begins to flourish. Sewage can be a great fertilizer for plants and grass. If you see part of your yard looking green and lush, but you have not watered any more than usual, then you may be looking at a sewer repair. Rodents and insects are drawn to moisture, food, and rot. When you have a sudden infestation of rats or insects—especially cockroaches and drain flies—then you could be looking at a leaky or broken pipe that is attracting these annoying pests. After you call for plumbing services, be sure to call a professional exterminator. To avoid clogged drains near Elmhurst, it is best to keep a plunger in the house. You can use a plunger to clear most drains before needing to call for plumbing services. However, the more extensive the clog or pipe repair becomes, the more it becomes necessary to call your plumber for professional plumbing services . Watch the short video for more information on how to keep your drains clear of clogs. If you have a clog in your sink or bathtub, you can use your plunger to try to remove it. Be sure you have water in the sink or tub to give the plunger a good seal around the drain. When you run your garbage disposal, you should always have water running in the system. Cold water should be used while running the disposal, and then turn it to hot to help wash the food remains down the drain.